From the 10 Freeway - Exit on "La Brea" exit and go north till you reach N. 714. From the 405 Freeway - Merge to 10 freeway east and Exit on "La Brea" exit. Go north till you reach N. 714. We are in the second floor of the Aaron's Brothers Building. Entrance is on La Brea. Buzz code is 107. 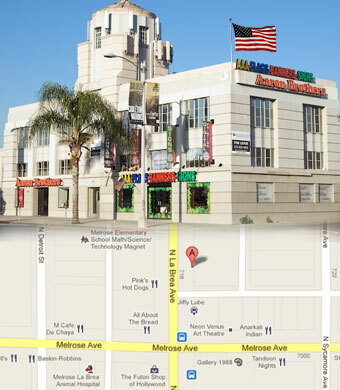 There is always plenty of FREE parking between our building to the Hollywood Video building. FREE Parking - We validate.